While you are sitting around with your friends and family today, I bet you are looking at some of the men in your life thinking "what the heck am I going to get him?" Well I have an idea. 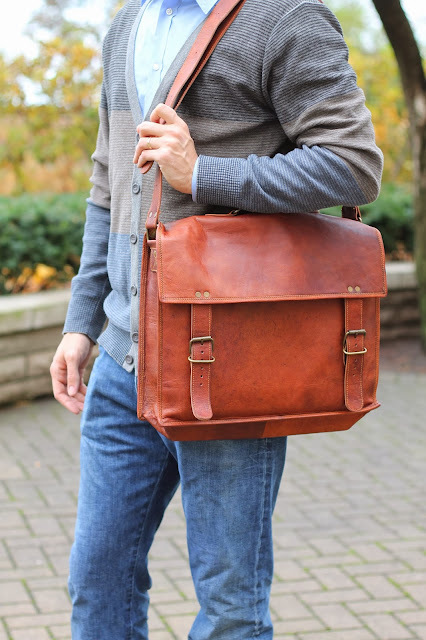 Hand-made leather perfection. 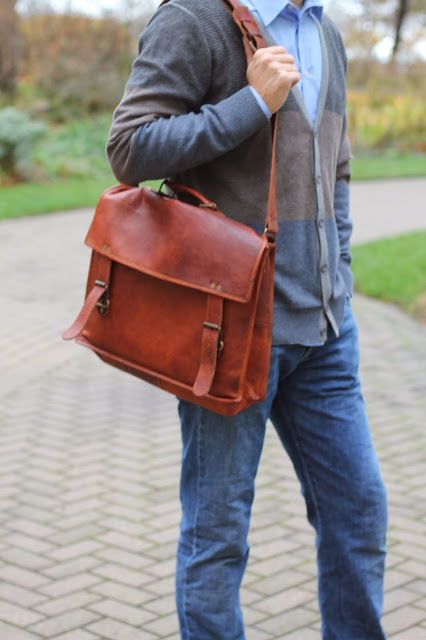 I came across Picturesque Leather bags while at the Randolph Street Market and instantly knew they would make the perfect gift for my husband. I must admit, I was overwhelmed at first with the options (because they were all so gorgeous) and had to buy his later online after finally deciding on the perfect one. This was hard because there were so many to choose from. The best part is that the prices are incredible. These bags look like a million bucks, but they're super affordable. Seriously look at this Cole Haan one for triple the $$. And my husband get's compliments on his bag all the time. 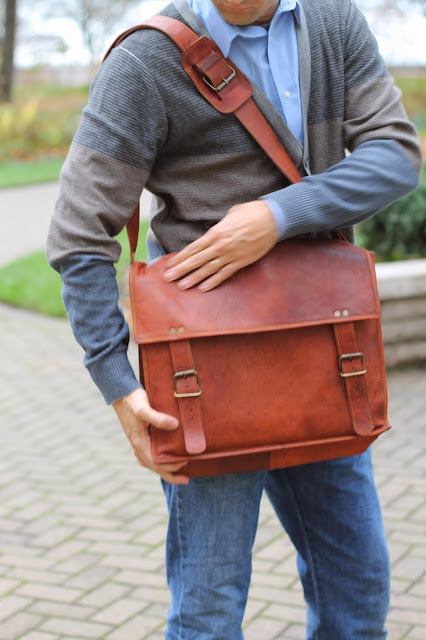 It's the kind of bag that will age to perfection with use. And if you want to see it for yourself, here is my husband modeling his for us, looking mighty dapper I might add. 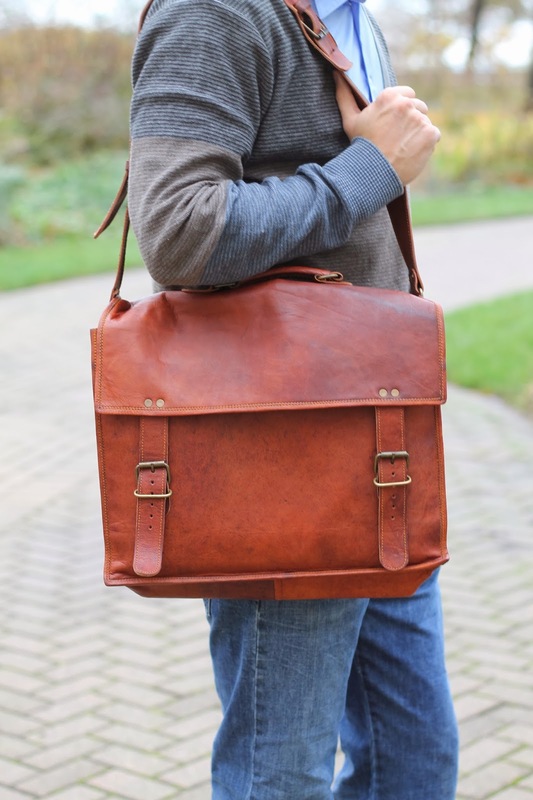 Check out all of Komal's handmade bags on www.picturesqueleather.com or visit her at the One Of A Kind Show at the Merchandise Mart December 5-8th.